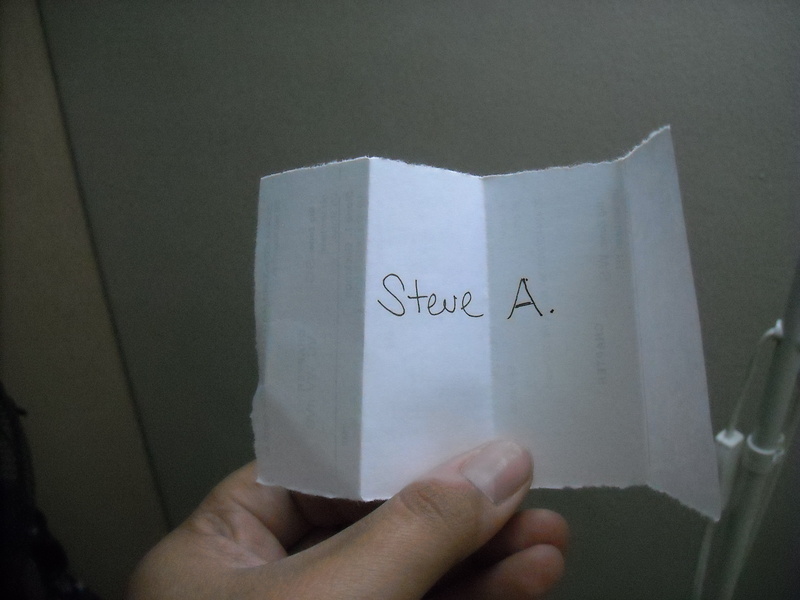 Well, from the three entries I received yesterday, this week’s Friday Night Fiction winner is Steve A! Congratulations! You will soon be the proud recipient of a signed, handwritten piece of original fiction inspired by you! I’ll be in touch with you via email. As for my Concordance of the Epic Saga of the Three Bears in Space…you know how when you bite off more than you can chew, and rather than doing the straightforward thing, you decide to be all “experimental” or whatever, but the choice to do that makes what you were working on take longer? Yeah, that. Sorry, gryffud! It’s currently in my Google Drive, and is coming! Promise! Hello everyone! As you know, I still owe you a story in response to last week’s Three-Word Fiction prompt by Experience reader, Gryffud. But rest assured, there WILL be a story, and Gryffud WILL be receiving a handwritten copy of it signed by me! And I’m still going to be looking for a prompt for this week! I’d like as many of you as possible to comment below and give me a list of three random words. Do this by 5PM Pacific time today, and I will put the names of everyone who comments in a drawing and choose a name at random. I will then write a story at least 500 words long inspired by and/or using the three words that person gave me and post it here on the blog as my Friday Night Fiction. And the person whose words I choose will receive a signed, handwritten copy of my story in the mail! Comment below and inspire me! Hello everyone! As you might have seen over the weekend, I posted my first piece of Friday Night Fiction thanks to a response to last week’s Three-Word Fiction prompt by Experience reader, Ian Johnson. This edition of Friday Night Fiction was inspired by Ian Johnson. Thanks for commenting on the blog, Ian! Please email your mailing address to me at theteresajusinoexperience[at]gmail[dot]com, and I will send you a purdy, signed, handwritten copy of this story! It will be the only handwritten version of it IN EXISTENCE you lucky thing! 🙂 Thanks for helping me exercise my prose muscles. Ever since Abuelita died, Adelaida’s parents always made her come straight to the truck from school. Luis and Gabriella, her older brother and sister, both had jobs now, so there was no one to take care of Adelaida at home anymore. She walked two L.A. blocks all by herself every day, and even though some of her friends felt bad for her, because she had to walk alone and couldn’t go home, she was still really proud that her parents treated her like a Big Girl. Tienes hambre? her mother asked her when she walked around to the back of the food truck that day. Adelaida shook her head, but her mother knew better, and Adelaida smiled when her mother poured her a cup of horchata and put some warm tortillas on a plate for her. Adelaida’s father had set up a place for her in the corner of the back of the truck, and so she enjoyed her snack surrounded by stuffed animals at a Little Tikes table as the steam from the grill filled the air and her mother began preparing grilled meat for the upcoming dinner rush. 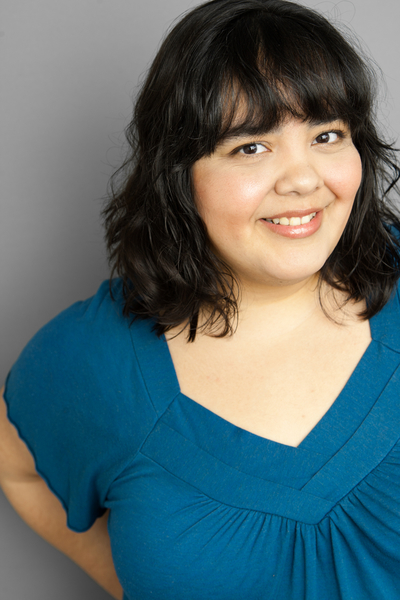 Adelaida was born in California to Mexican parents, so she was just Mexican enough to drink horchata regularly, but just American enough to still think the word “horchata” was kinda funny. She was chuckling to herself about the word, over-pronouncing and elongating it (“hoooorchaaaataaaaa….hoooooorchaaaataaaaa…”) to make her mother laugh (or make her annoyed. One or the other.) when her father poked his head inside the truck. ¡Ven afuera!, he said, smiling. Adelaida was intrigued, and so she did as she was told, and exited the truck. What she saw when she got outside made her squeal with delight. 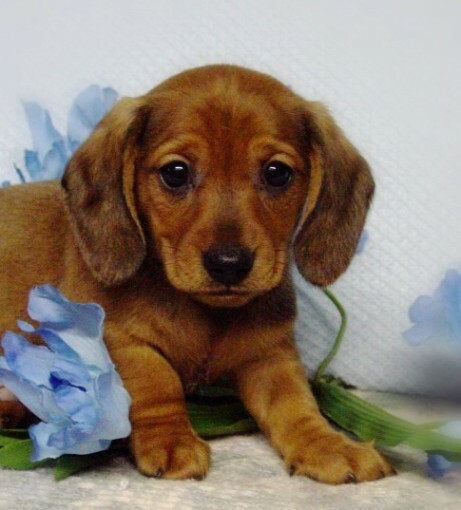 Tied to a lamppost in the parking lot where they ran their business, was an eight-week-old dachshund puppy, who immediately began to wag its tail when it saw Adelaida. ¡Ay, que lindo, Papi! Adelaida exclaimed, running over to the dog and kneeling on the ground to play with it. It climbed up on her lap and started licking her nose, which made her squeal. Adelaida’s mother looked out the back door of the truck, and she didn’t look pleased. ¿Y, qué es eso? she asked, giving Adelaida’s father a pointed look. Ella necesita algo para entretenerse, he replied. Estar aquí sola con nosotros trabajando…? Eso no es bueno. Lo que no necesitamos es otra boca para alimentar. Adelaida’s mother frowned and went back into the truck. Adeleida agreed with her father. It would be good for her to have a puppy so she could have someone to play with. Watching her parents cook food for people was no fun, and she was tired of her stuffed animals. She was glad she could have a real one! She called the puppy Horchata, because he was brown like cinnamon and you put cinnamon in horchata and it made perfect sense to her. For weeks, Adelaida ran to the food truck after school to find Horchata laying down by his water bowl waiting for her to walk him around the empty parking lot. When Horchata was 13 weeks old, Adelaida walked him as far as she was allowed to walk in the parking lot before turning back, then let go of his leash and raced him back to the truck the way she always did. And he won, the way he always did. …después tu compraste ese maldito perro! ¿Y porque? ¿Para que ella te quiere mas que a mi? ¡Lo compre, porque ella necesita alguien que la demuestra afección mejor que tú cuando yo no estoy aquí! And her heart sank. She didn’t realize Horchata could be so much trouble! But she knew what she had to do. She didn’t want her parents to fight anymore, and if they fought over the dog that much, she shouldn’t have a dog anymore. Adelaida reached into her school bag for some construction paper and a crayon and made a sign. She picked up Horchata and his bowl and walked to the edge of the parking lot. Her heart breaking, she snuggled the dog one more time, allowing him to lick her nose and cheek, before putting him and the bowl in an old shopping cart. She wheeled the cart to a lamppost next to some parked cars, stuck the sign onto the handle with tape, and ran back to the truck before she could change her mind. Mom! Come here! Look! Brian called out as his mother packed their groceries in the trunk of her car. Brian’s mom looked over at the lamppost near her car and saw a puppy in a shopping cart with a sign on it that had “PLEASE TAKE CARE OF THIS DOG. HIS NAME IS HORCHATA” written on it in crayon. It was whimpering. Brian’s mom looked around and didn’t see anything on that side of the parking lot except a food truck. Can we take him home, Mom? Please? Who would leave a poor little dog like this in a shopping cart? So, many of you know that I write things. You may have even seen these things all over the internet. 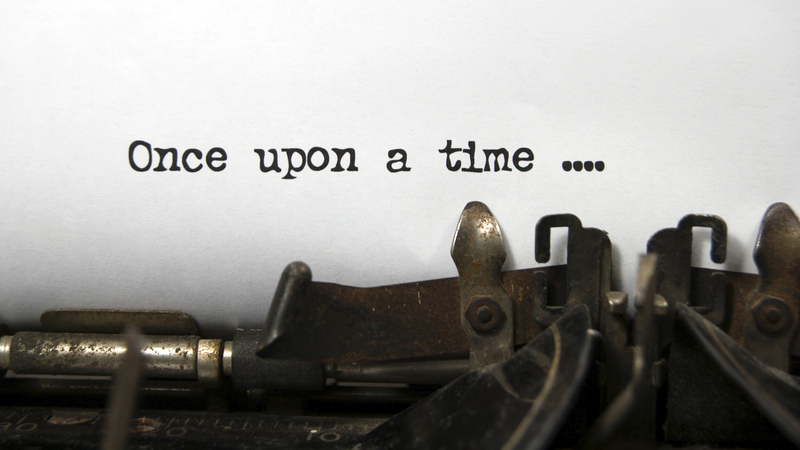 However, you might not know that my heart lies in writing fiction. As much as I’ve made a niche for myself in examining geeky pop culture through a Feminist Brown Girl lens (and enjoyed the hell out of it), all I really want to do is make things up for a living. It’s why I want to write for television. It’s why I want to write comics. It’s why I have a box full of notes for a novel and chapters of that novel languishing away in a folder on my desktop. That chapbook that is available for sale right here on this very blog? That’s got fiction in it! And so, in order to get back to the thing I love, and to exercise my prose muscles (I’ve been writing a lot of scripts lately), I’ve decided to include more fiction on The Experience! But I’d like your help. You see, I’ve always been the kind of person who works really well with guidelines when she writes. I think that’s why I’ve gravitated toward television – because that allows for creativity within a structure. Someone tells you “Write a story about this,” and you figure out the most creative way to do that within a set of parameters. Rather than seem stifling to me, I love how that kind of thing forces me to be more creative; forces me to figure out how I can put my personal stamp on this thing someone’s given me to do. This isn’t to say that I don’t have original ideas. Au contraire. My head is bursting with them. What I’m not bursting with at the moment is the facility with which I can put those ideas down in print. My fiction muscles need exercise, and to get that, I’d love some guidelines to get me going. I’d like as many of you as possible to comment below and give me a list of three random words. Do this by 5PM Pacific time today, and I will put the names of everyone who comments in a bag and choose a name at random. I will then write a story at least 500 words long inspired by and/or using the three words that person gave me and post it here on the blog on FRIDAY in a new weekly feature I’m calling Friday Fiction. Because I’m old-school like that, and think handwritten things in the mail are cool. So, go on then! Comment below and inspire me!